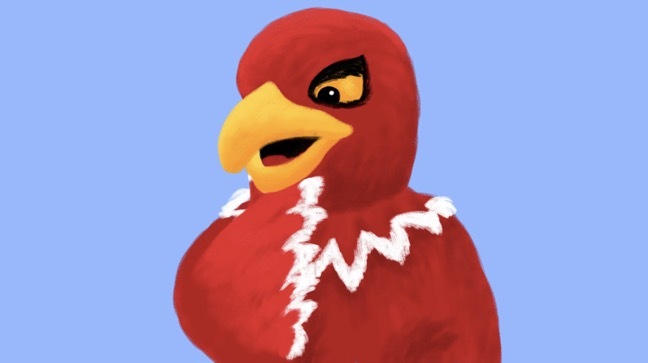 I am writing to you today as a McGill student who supports changing the R*dmen name to something non-racist, neutral, and uncontroversial, like that charmingly deformed bird that is the mascot of most teams at McGill anyway. While almost all universities call all their sports teams by one name, McGill is exceptional. There must be a specific reason why McGill’s male sports teams have a different (gendered) name. Perhaps it’s not enough for some male McGill athletes to grunt angrily and ram into each other while engaging in a physical contest to assert their masculinity; maybe having a specifically male team name really adds to the testosterone-fueled aura that they rely on for their success. Therefore, calling male sports teams by the same name as female and co-ed teams under the principle of university-wide unity would be just too run-of-the-mill for such a prestigious institution as ours. And so, may I present an alternate candidate for our male sports teams: the Martlet MEN, or the M&Ms for short. Think of the promotional tagline: all the man, none of the racism. Now, I know what you’re thinking: changing the R*dmen name could wreak havoc on McGill’s manliest teams. In light of their stellar record as R*dmen, is it really worth it to change the name and mess up their extraordinary success? Sure, the name “R*dmen” is a racial slur and a slap in the face to any Indigenous McGill student, faculty, and staff member. Sure, it perpetuates McGill’s legacy of ignoring (at best) and actively contributing to (at worst) the enslavement, disenfranchisement, and general screwing-over of Indigenous people, but that’s not what was intended! No, R*dmen simply refers to James McGill’s Scottish heritage, not Indigenous people (who he enslaved, by the way). Obviously, the first thing anyone thinks of when they hear the term “red” to describe a person is Scotland, a country where the national colour is blue. This sentiment was most eloquently expressed in the Disney classic Peter Pan; the song, “What Makes the Red Man Red?” really is a striking description of Scottish culture. Perhaps it could be used as a McGill R*dmen fight song if the name is not changed at the end of your deliberations; it’s a catchy example of R*dmen’s true meaning. Besides, others argue, red is just a colour. It’s just like naming a team the McGill Black Men, or the McGill Yellow Men, or the McGill White Men. These are totally neutral adjectives that have no other connotations in our society apart from delineating crayons in your kid’s 12-piece Crayola set. Why is everybody getting all up in arms about a sports team named after its jersey’s hue? And it’s a tradition. This name dates back to the 1920s, when Canadians were known for their sensitivity to issues of race and Indigenous rights. If the R*dmen name was good enough in the heyday of residential schools, then it should be good enough for us now! While I acknowledge how important these points are, I would err on the side of not further insulting people upon whose suffering and death McGill as an institution was erected. Change the name and eradicate the use of a racial slur as a moniker for McGill students, or keep the name because it’s just so descriptive of what jerseys look like. I know, it’s a doozy. Best of luck with your decision, and may the Martlet MEN win the day!